Feeling a bit patriotic this week prepping for this weekend. 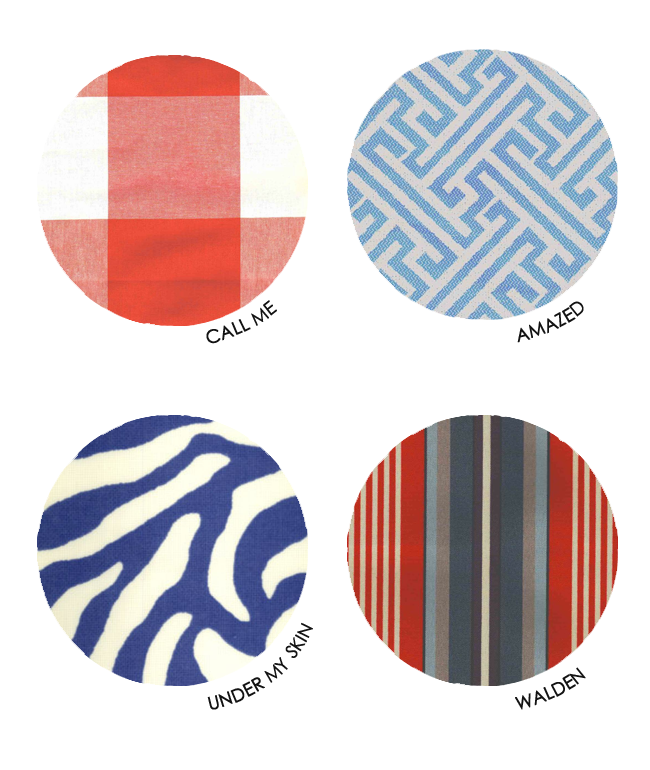 I decided to round up a few of my favorite red, white & blue hued patterns from Lewis & Sheron Textiles here in Atlanta. Whether used in combination of the traditional americana colors, or separately… These fun fabrics can certainly update any space. I would love to see the first one (Zoe Cotton) on a traditional bergere chair!